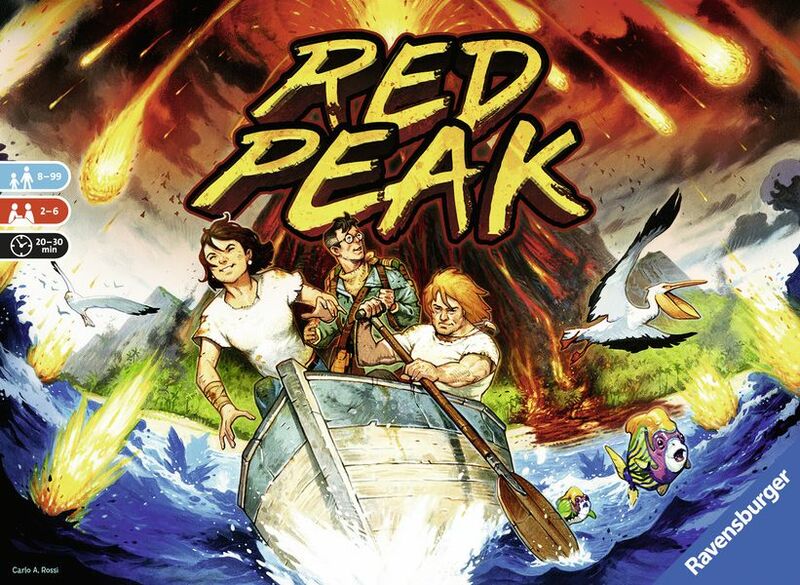 Red Peak is a 2-6 player cooperative game where players must build the path through the jungle and place the correct supplies to advance closer to the boat. Players race against a sand timer which counts down the time until you can stop running and the eruption brings your party the sweet release of fiery death (I'd rather die than do cardio). Red Peak has been compared to both Cartagena and Fuji, incorporating elements of both games, and it looks like a pretty fun cooperative game to add to the collection. It will be released in March 2019 in Europe, but USA fans will have to wait until Gen Con 2019 before they can get their hands on a copy. Fun Fact: Some historians believe that the people of Pompeii didn't know Vesuvius was a volcano and thought it was just a mountain, as the previous eruption was probably around 79AD! "The sweet release of fiery death!"